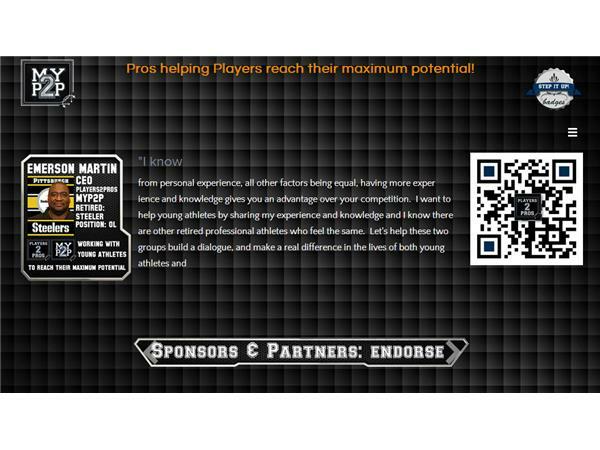 I am a former NFL player who now serves as a Football Training Advisor/Owner of Players2Pros. Players2Pros is a social media and professional community created to help student athletes in grades 7-12 acquire college scholarships through position specific training, positive self branding platforms and education. Preparing and educating our student athletes for collegiate greatness by using former collegiate, NFL, NBA, MLS and MLB athletes to train, mentor and use their resources to assist student athletes is what we do.